Anyone here have any experience shipping a car? Found one I want in New Mexico, but all the companies I've looked at either have 1.5 star reviews or are afraid to drive their trucks into Vermont. Fly out and drive it back? or get a friend to do it? it would be an experience. The reputable ones aren’t cheap. Any companies I've seen have bad reviews on yelp and google. Sometimes on BBB. Like Montway on Uship has great reviews, but if you look them up on google or yelp they have like 3 stars. Anyone here want to take a road trip for me? Haha. I don't have the time off to do tnmyself. I shipped my f100 from West Virginia to CT and it was a learning experience. What I learned is a lot of carriers provide you a quote and then post that amount on a board for drivers to see. If the quote is more expensive the driver is more likely to take the job and you'll get your vehicle pretty quick. If the quote is low a driver may never take it and it will take a longer time. I picked one in the middle and it took about a week and a half for a driver to take it. It was years ago so I can't remember what web site I used and I think I deleted all the emails. Lots of my customers use them as have I.
I had a car shipping from FL to MA. I also used Intercity to ship a car from CA. Very professional and was very happy with it. As said above, it's not cheap but all things considered it's not "thousands vs nothing" it's a marginal difference of lets say "$1500 vs $2000" and after committing to spend all that money last thing you want is to deal with more headaches after. I also had to have enclosed, you might not. As you said, lots of cheaper ones are "sketchy" and are sold through brokers to the lowest bidder with a trailer. Last edited by Vovchandr; 03-31-19 at 07:14 AM. Did you contact any of the 3 I listed? I've used JP and they were great. If it were local I could recommend another local carrier, but I don't think they would go to NM. shipped a vintage Porsche from MA to VA with D.A.S. Auto Shippers, whole process was smooth and professional. +1 for Intercity Lines, they also get very good marks from vintage Porsche guys. that was going to be Plan B if we didnt use DAS. 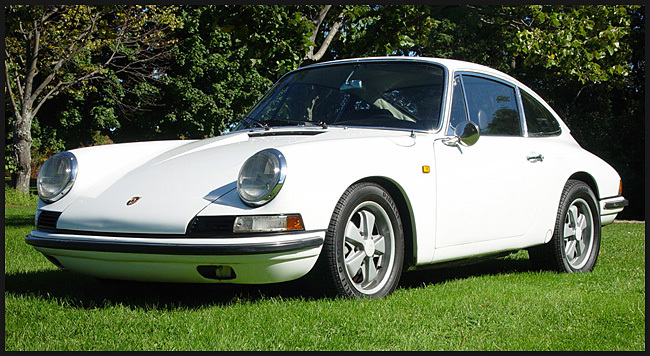 it was a '66 912, sold it to an older gentleman in VA who was doing his last big restoration project. would love to see it today, miss it. btw, ignore my suggestion on DAS, looks like they went downhill bad. we had a great experience but reviews are terrible. Intercity Lines would be my choice today.